Do you want to refurbish your kitchen but you do not know where to start? We are here to help you. Let’s start with a practical and multifunctional electric oven. Like choosing any kitchen appliances, you should pick an oven according to your needs. Consider how often you are going to bake and what sort of dishes you are going to cook. Do you need any special features? Follow these steps and they will equip you with key insights you need to know before buying a new electric oven. There are two types of oven heating methods: gas and electric. Running cost of gas ovens are usually pretty low but electric ovens have far more advantages than gas ovens. 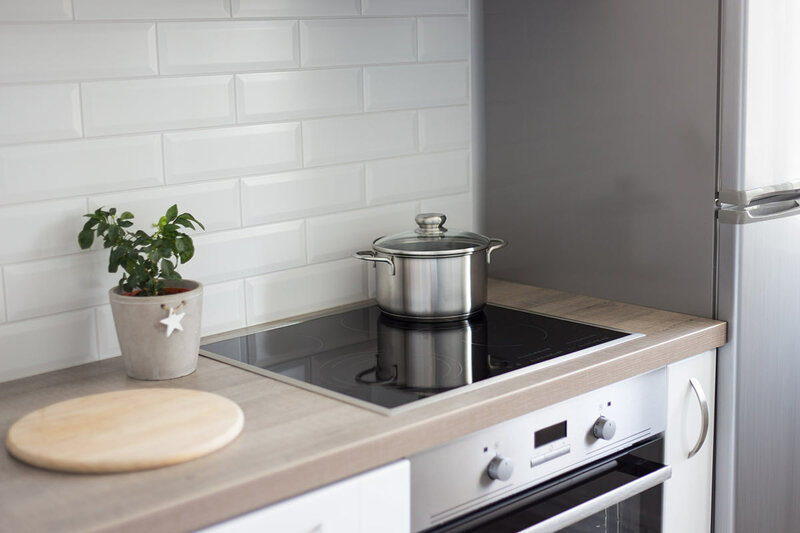 Heat distribution is less even in the gas ovens and they are more difficult to clean whereas the most important feature of an electric oven is the ability to measure temperature very precisely. Electric ovens are also superior over gas ovens in its number of heating elements. Heat comes not only from the bottom or the top but also from the back and corner walls. In these ovens, all heating elements are usually hidden, except grill, which is open on the oven’s top. However, electric ovens use a lot of electric energy, so you should bear that in mind if you are going to cook very often. But if you do not plan to bake every day it should not be an issue. Oven size depends on your cooking preferences, the size of your kitchen and other factors. In advance choose the place where your oven will be installed, measure it and write it down. Let’s start from the oven’s width (horizontal size). The standard width is 60 cm. However, you can find bigger models that are 90 cm wide. If you want to save some space in your kitchen you can buy 45 cm wide oven. Most frequent oven height is 55 – 60 cm. Compact models usually are 40 – 45 cm of height. Also there are huge ovens with a few baking sections. Such ovens can be up to 90 cm height. Modern electric ovens have plenty of various functions. You should pay close attention to the convection, special cooking modes, grill, microwave and automatic programs. Convection system is built into the back of the oven walls and it makes the hot air circulate inside the oven. Due to the convection mode your dish bakes evenly and gets nice golden color from all sides. Also in more expensive ovens you can find special cooking modes. For example, ovens with convection fans will have modes for convection baking and convection roasting which will enable the fans and heating elements. Some ovens even come with special functions for cooking particular food such as pizza or turkey. Another interesting function is an integrated microwave in your oven. Ovens two-in-one will help you save some space in your kitchen. Unfortunately, such high-end ovens are usually quite pricey, so it is for you to decide whether you want to invest to have this feature. Buying an appliance is a personal experience. You should buy an electric oven which suits your personal needs and requirements. There are plenty of choices in online store pigu.lt, where you can find lots of electric ovens with different functions, sizes and designs.